Scanning your old collection of 35mm slides is the perfect way to both preserve them and give them a new life as digital images. With the use of either a dedicated film scanner or flatbed scanner and your home computer, you can convert that box of slides to a hard drive full of images. A simple work flow of slide preparation, proper software configuration, image editing and archiving will convert your images from slides to digital image files ready for printing or for use on the internet. One note though: This method requires you to purchase some relatively expensive equipment which you will probably only use once and will take a hours of your time. If you’re not do-it-yourselfer, we have the equipment to do the job for you and it only costs .75 cents per slide with a minimum of 100 slides. Select the slides you are going to scan and place them into the slide holder on the scanner. Dedicated film scanners usually allow several several slides to be scanned at a time, and are the better hardware choice when it comes to scanning slides. However, if you are using a flatbed scanner, the slide holder will most likely accommodate one slide only. Make sure the slide is as free of dust and dirt as possible. If your slides are excessively dusty, the scanned images will have to be edited later to remove the dust spots. Set up the scanning software. Regardless of what software you use to scan your slides, there will be several basic settings you have to configure. How you configure them will be based on the type of slides you are scanning. If the slide is a color slide, set the color mode to color or “rgb”; if the image is black-and-white, set the color mode to black-and-white or grayscale. Since the slide is not a negative, make sure that the software is set to scan the slide as a positive. Next, set the resolution you would like the slide to be scanned at. A setting of 300 dpi will work if you plan to make small prints or use the digital file online; however, if you plan to make larger prints from the file or just need a file with a very high resolution, set the resolution to the other end of the scale, usually anywhere from 2,000 to 3,000 dpi. Finally, set the output file format to .tiff. This will allow you to preserve the maximum amount of image data in an uncompressed format for editing in the next step. Scan each slide. Start the scanning from the software. If you are scanning multiple slides at once, make sure the software is configured to do so. Optionally, some scanning software will allow you to do a quick preview to check your software settings before performing the lengthier complete scan. If you are unsure about the scanner’s settings, perform a preview scan first, make any adjustments that are needed, then start a normal scan. Edit the scanned image files. Open the scanned slides in an image-editing software package of your choice. 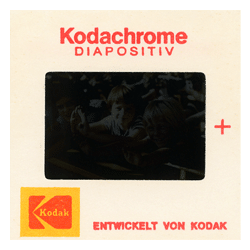 Old slides may need color and contrast corrections to restore them to their original state. While editing the photos, you can also fix any scratches, dust or other physical blemishes that the slides may have experienced. Save the file in the desired format. The edited file will still be in a large, uncompressed file format; you need to convert it to a format that is both smaller and more useful. Most likely, this means converting the file to the .jpeg file format. The file can be converted to a .jpeg in your image-editing software, and can be saved at whatever quality setting you prefer. The higher the quality, the lesser the degree of compression and loss of image quality; however, the file size will remain quite high. Back up the original file. Be sure to save the original .tiff file, as you will be able to come back to this “master” file later and work from it to make other versions, such as cropped selections and black-and-white conversions. For more information on our scanning services, check the “Price List” page. 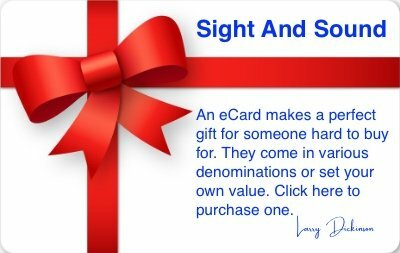 This entry was posted in News by sightandsoundnb. Bookmark the permalink.